Purchase museum-quality canvas prints from the world's greatest living artists and photographers. Each print is hand-crafted at one of our global production facilities using premium cotton / poly canvases, pine stretcher bars, and archival inks.BPAGO Art is one of the largest, most-respected giclee printing companies in the world with over 40 years of experience producing museum-quality prints.All of our prints are produced on state-of-the-art, professional grade printers imported from Japan..We use acid-free papers and canvases with archival inks to guarantee that your prints last a lifetime without fading or loss of color.BPAGO Art have assembled literally thousands of famous artworks from the classics like Leonardo Da Vinci and Claude Monet, to more contemporary artists and styles. Choose from scores of themes, genres and artists including Van Gogh, Renoir, Gauguin, Gustav Klimt and many more. We have a huge selection of abstract art paintings, animal paintings, figurative oil paintings, religious oil paintings, still life oil paintings, flower paintings and landscape paintings that are available in our collection. Your order of BPAGO is then promptly delivered to your home or office.Our return policy is very simple:Our paintings are Fulfilled by Amazon,if you're Not Happy With item that you place on BPAGO, for any reason,you can contact us directly,we are here to solve your any issues. Just let me know your ideas. 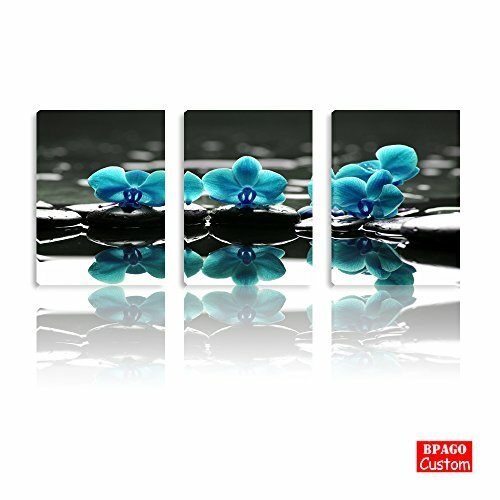 Registered brand: Bpago Print On Canvas Paintings seascape set size:12x16inchx3pcs (30x40cmx3pcs). If you have any questions about this product by BPAGO, contact us by completing and submitting the form below. If you are looking for a specif part number, please include it with your message.